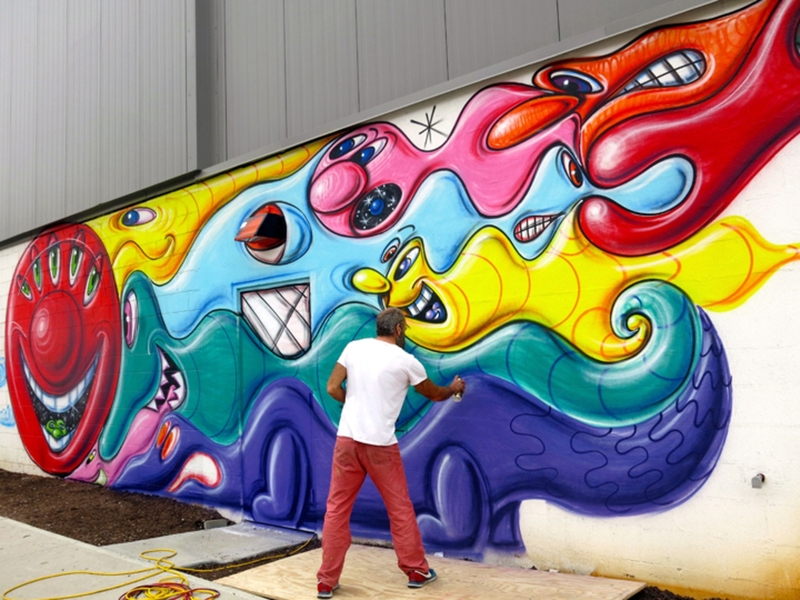 Prolific street artist Kenny Scharf has been hard at work for the past week on a colorful new mural in The Bronx that is an entire block long. 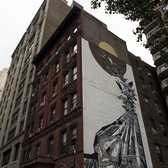 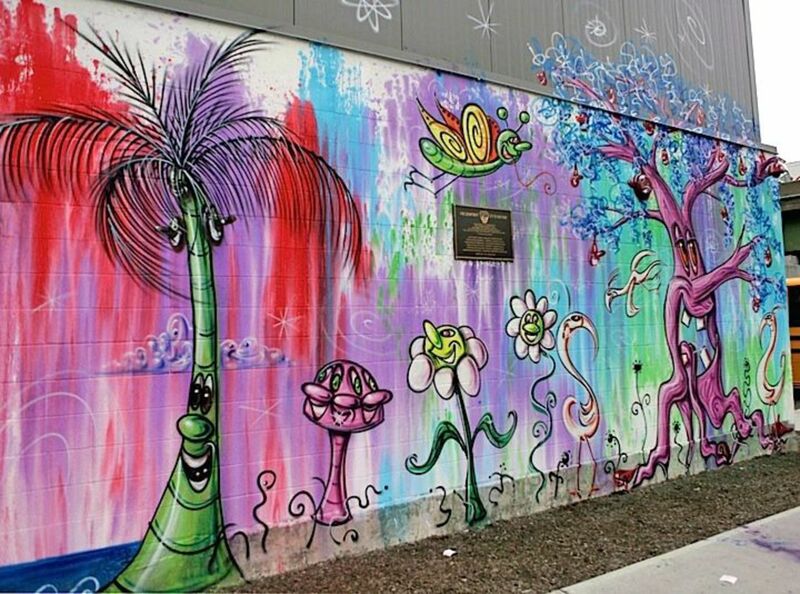 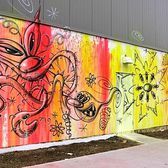 Our friends at Street Art NYC recently went to check out the scene up in Bathgate. 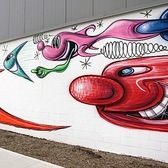 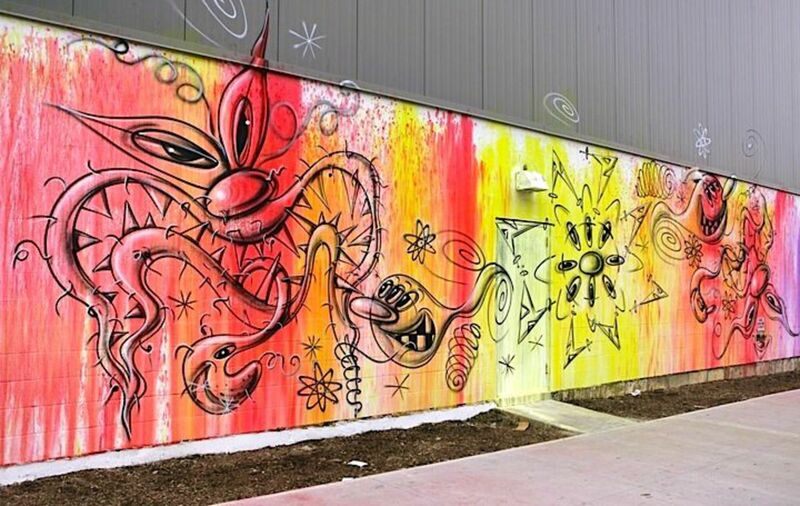 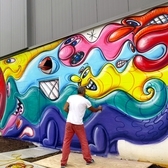 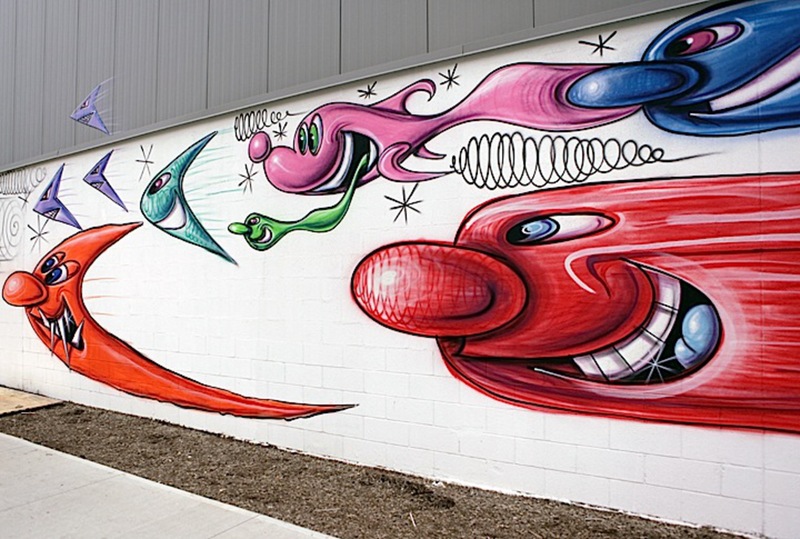 For the past week, Kenny Scharf has been at work on a massive mural along Third Avenue in the Bathgate section of the Bronx. 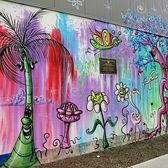 Replete with the artist’s colorful, fanciful characters, the artwork brings vibrancy and intrigue to this central Bronx neighborhood.